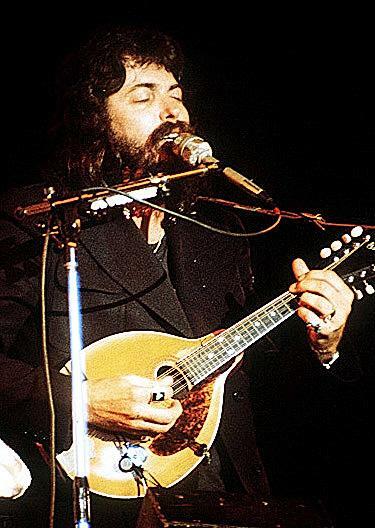 One-half of 1970s duo Seals & Crofts, Dash played this mandolin on recordings and in concerts. It appears to be a teens Gibson A-style with replaced tuners and a DeArmond pickup. He also apparently owned a pre-1941 Gibson EM150—at least he's pictured with one on the cover of Seals & Crofts' Greatest Hits album—and the Gibson EM200 in the video and photo below. Dash has a solo CD called Today and contributed electric mandolin on an album by wind player Jim Horn.